Volatile oil (about 50% thujone), diterpene, bitters, flavonoids, phenolic acids, salvin and tannins. Should not be taken internally during pregnancy. 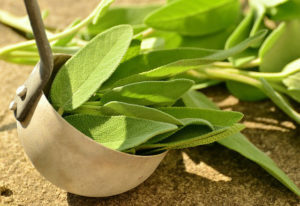 Strong sage preparations should be avoided in cases of gastric disorders.